We will celebrate the polish tradition of Swieconka (sh-vee-en-soon-kah) again this year. Everyone is invited to join our polish brothers and sisters on Holy Saturday afternoon. 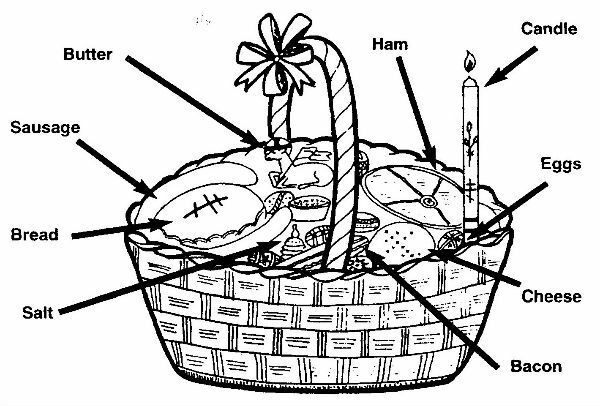 Baskets of Easter food will be blessed - bread and baked goods, meats and eggs. 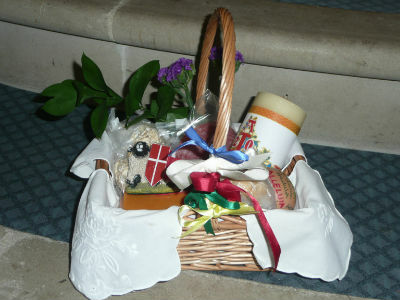 The baskets are decorated with ribbons and Easter evergreen. In gratitude to God for all His gifts and his grace the Easter food is sanctified with the hope that in the joy of the resurrection, we too will be blessed by His goodness and mercy.